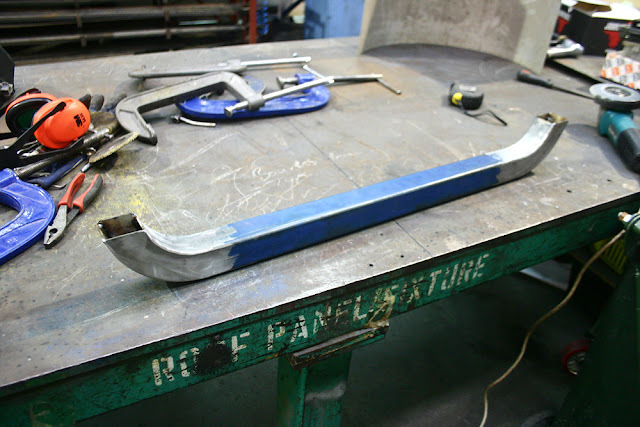 Here's how I get the kuda project from place to place. Works great, even hooked up the rear lights. 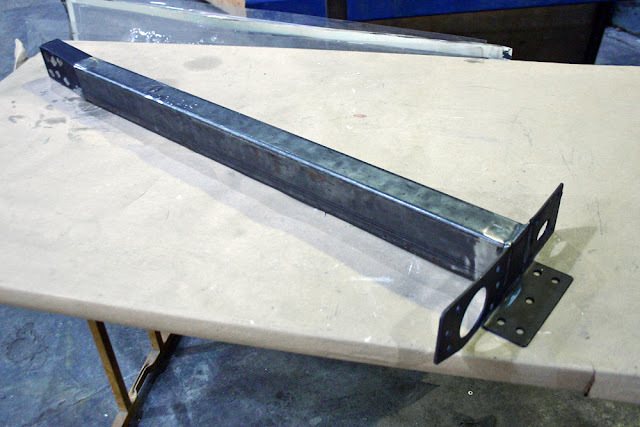 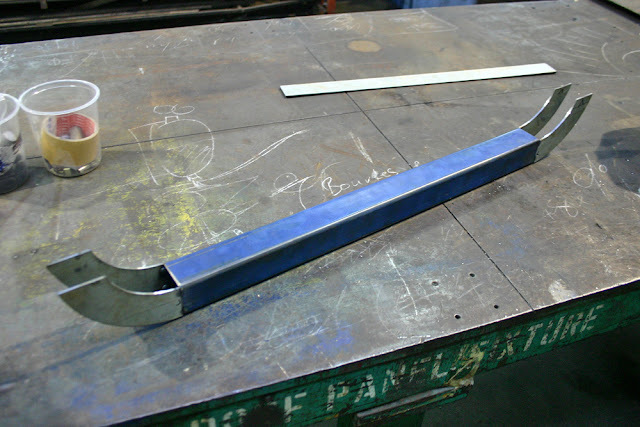 Fabricating a 50x50mm 3mm wall RHS support for the front chassis rails / radiator support. 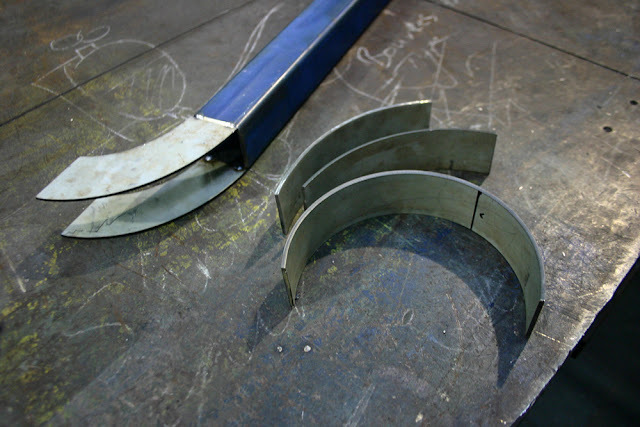 Rolled sections of 3mm steel. 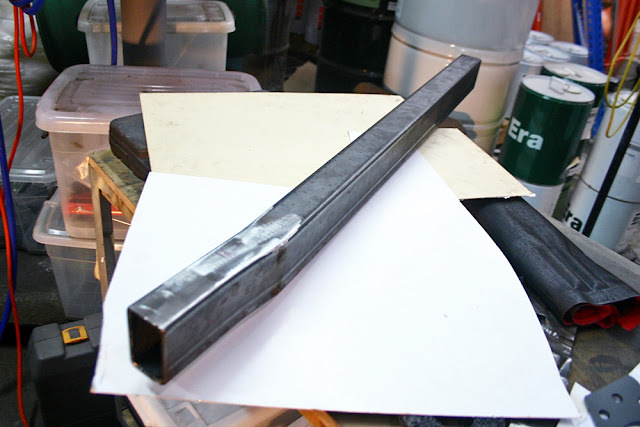 I decided to go with 50x75mm RHS bar through the floor for the subframe connectors. 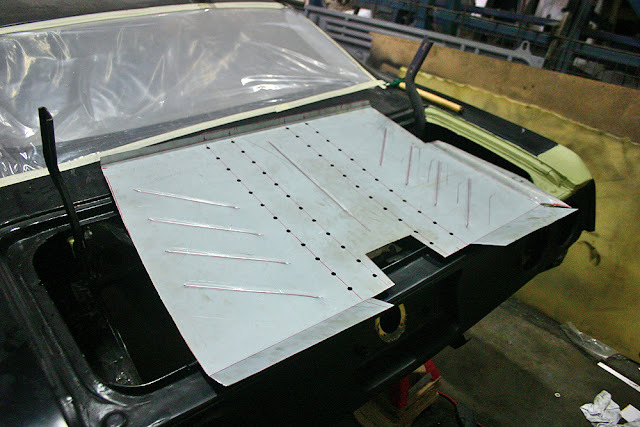 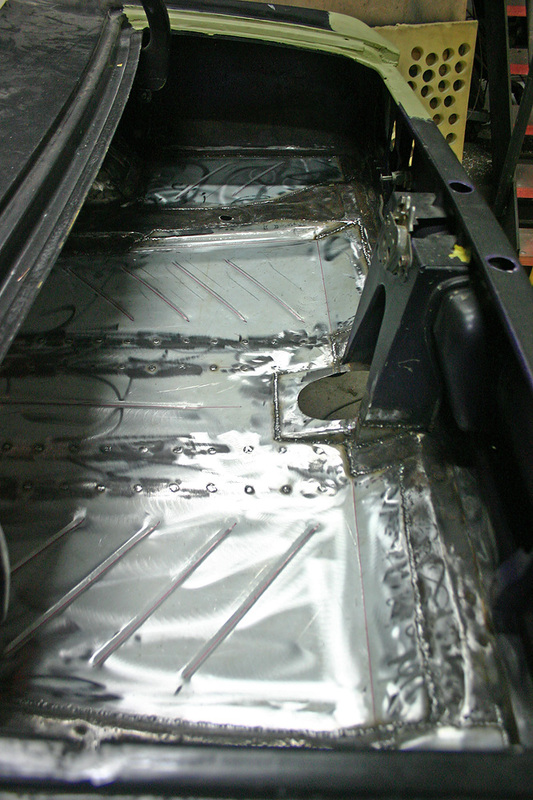 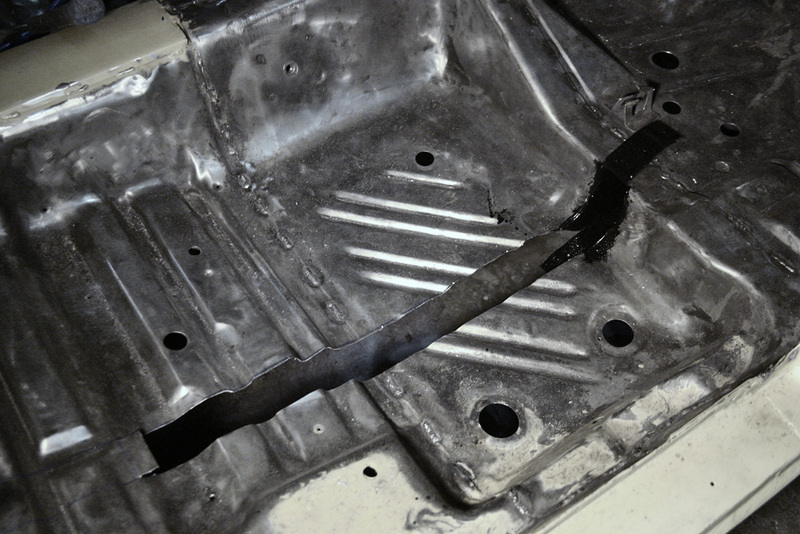 This shot shows where the floor is cut to allow the bar to slide into the rear chassis rails. 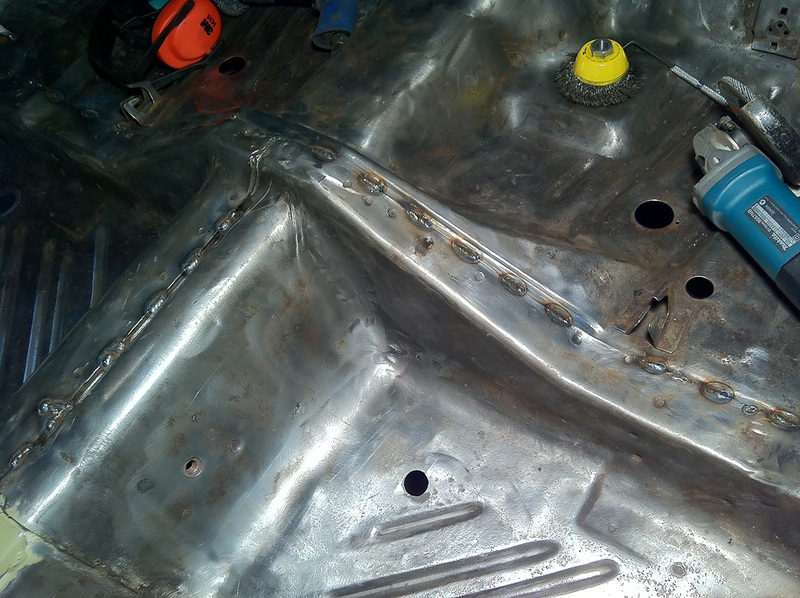 The rear frame rail opened up, cleaned out, holes drilled for plug welds, and rust proofed. Plasma cut 3mm plate for the torsion bar crossmember mount. 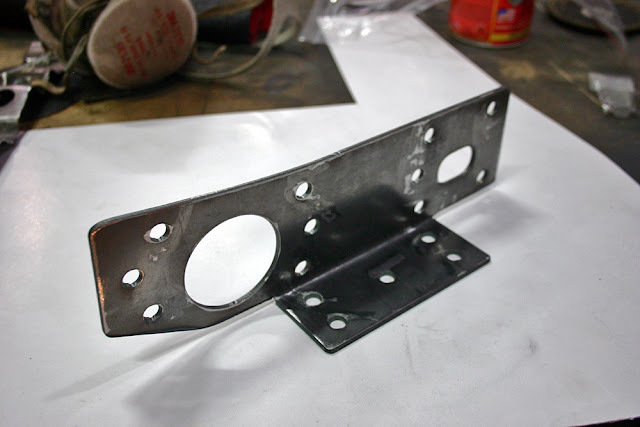 This design reinforces the torsion bar anchor as well. ...as well as have an angle added as E Body rear rails aren't parallel with the chassis. 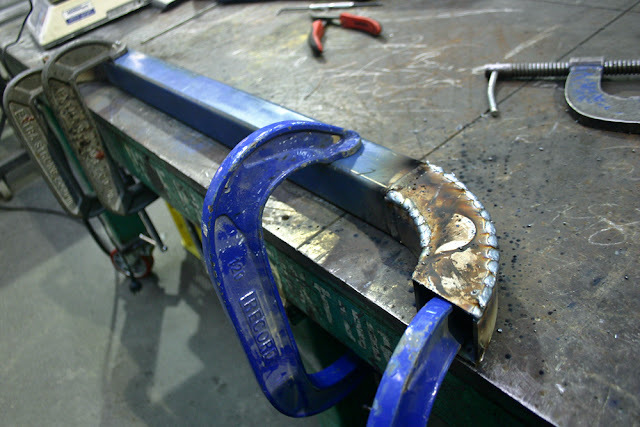 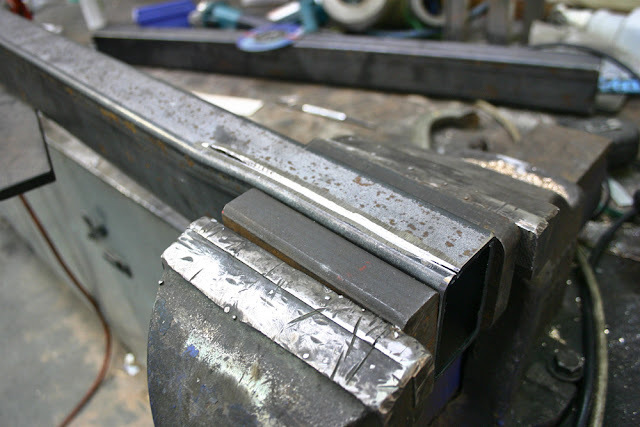 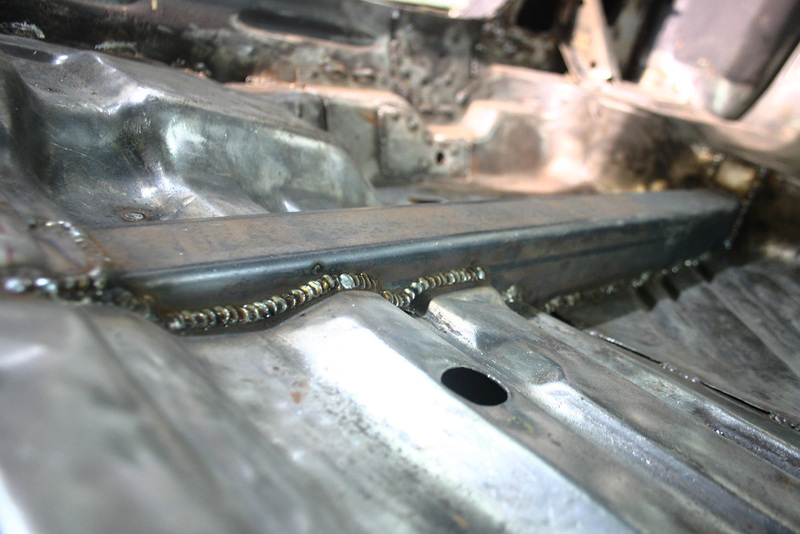 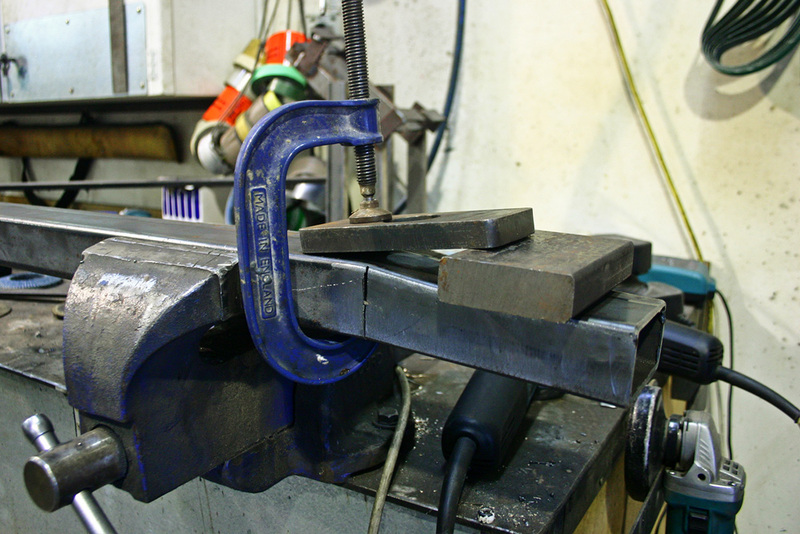 The joins were beveled, welded right through, then ground smooth. The finished connector, rustproofed and ready to go in. 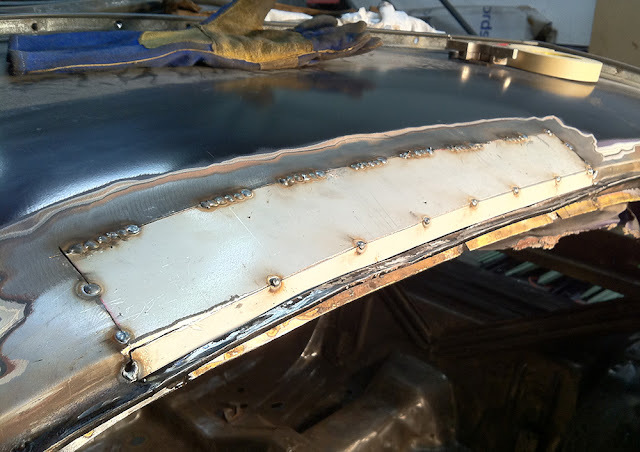 Just starting the stitch welding of the seams. Lots of work getting rid of all the old sealer and crap, in order to get a good weld. 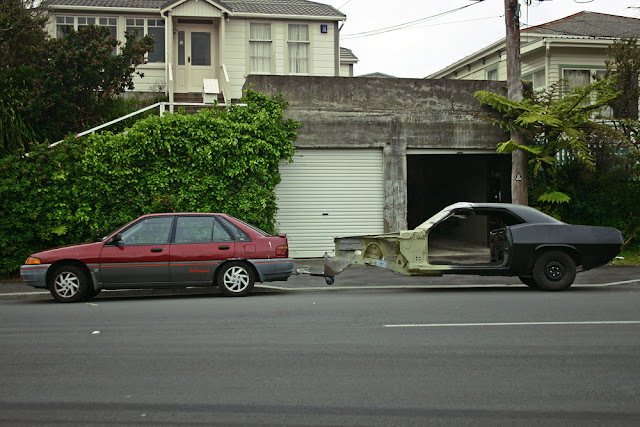 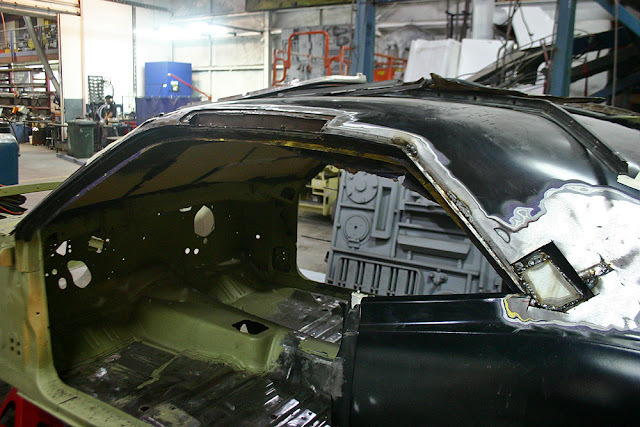 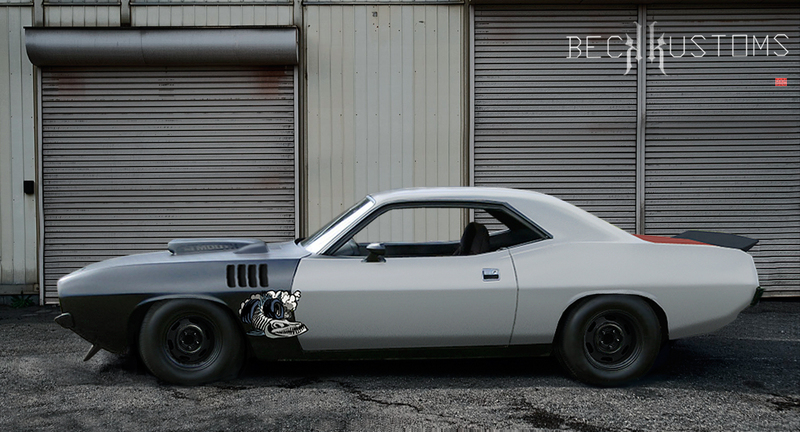 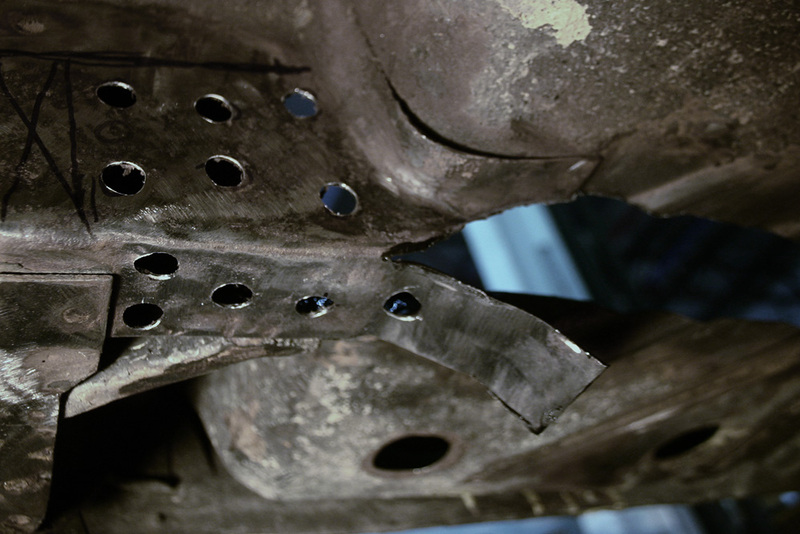 I plan to stitch the whole body together, as part of the reinforcing work I'm doing to the car. 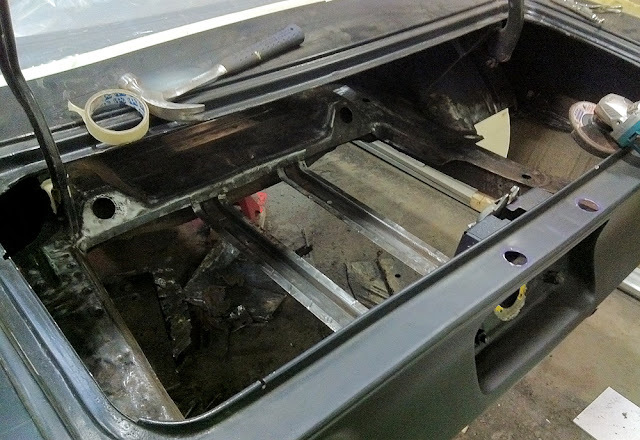 Nearly everything short of a roll cage! 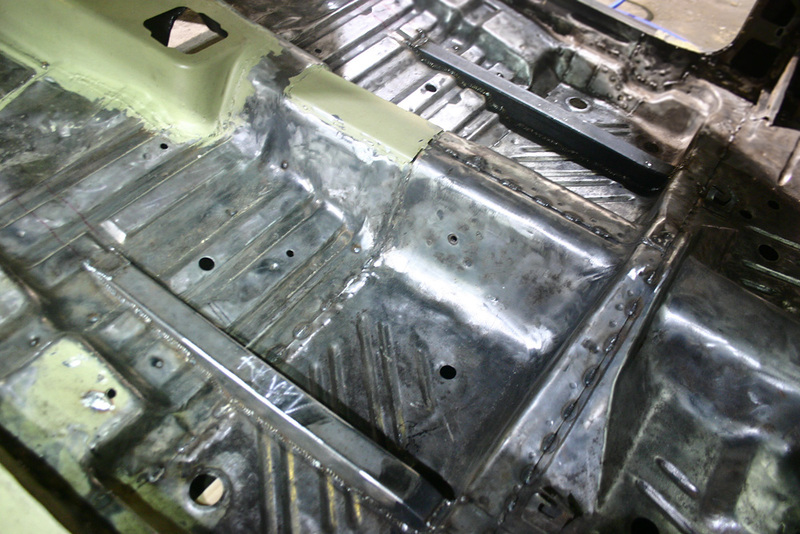 Here's a close up shot where I've sanded the body back to show the various paint jobs the car has had over its life. 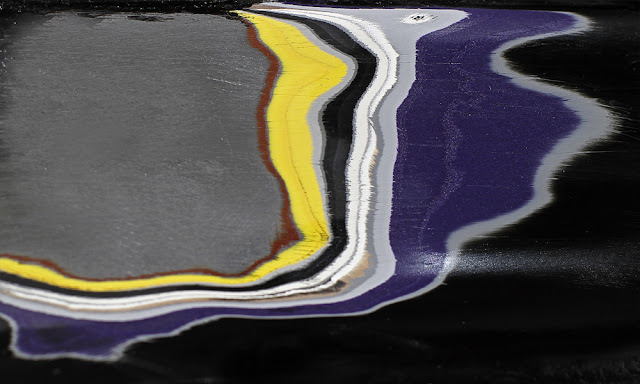 On the left is bare steel, and to the right you can see the different layers of paint. 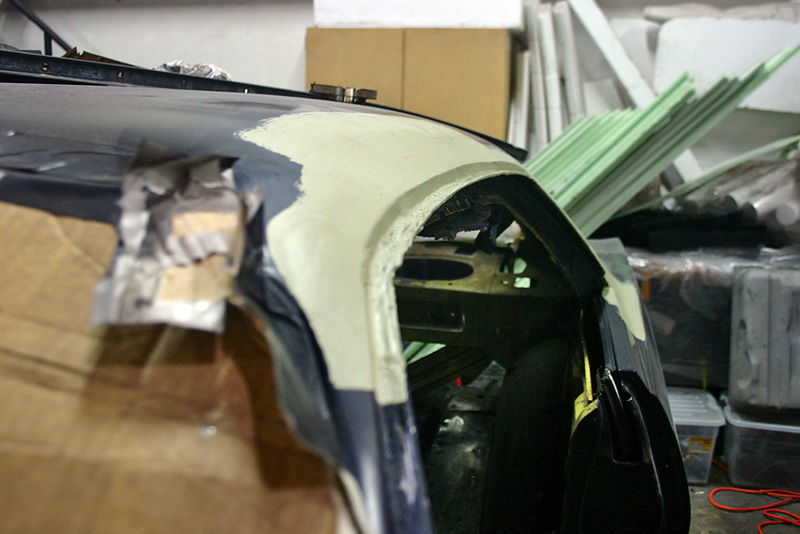 First is red primer, then its factory shade of FY1 Lemon Twist yellow. 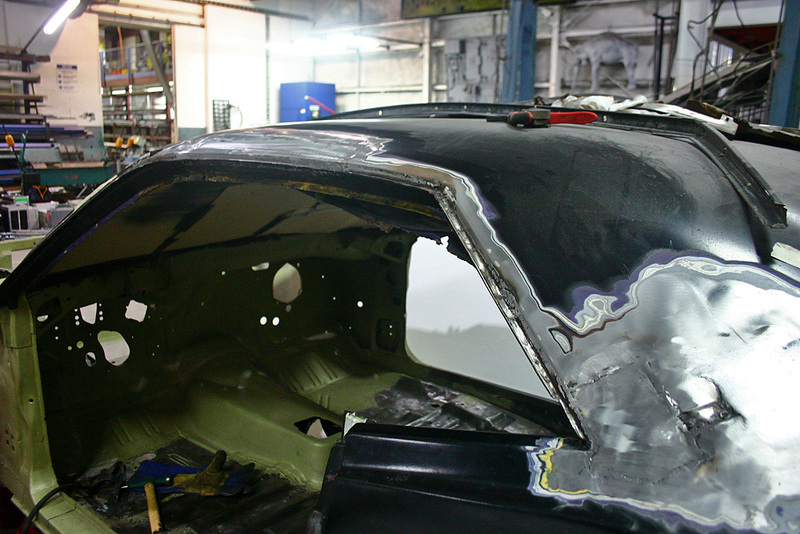 Then over the years it got painted (with grey primer in between each) black, then white, then purple, and then the black that I added soon after I bought the car... A rainbow of history!